As we draw closer to the Rainbow Six Siege Paris Major and the reveal of Season 3, fans are eager for any new info on the next operators heading to the game. While we have gotten some hints about what kind of operators we can be expect in the future, there has been no concrete info or leaks. Following the recent Siege-themed expansion for Ghost Recon Wildlands, however, some fans are speculating that one of the next operators is right in front of us. The theory is that Nomad, Wildlands’ protagonist, will be joining Team Rainbow in Season 3, and the reasoning isn’t that far-fetched. First, we know that the next two operators will be coming from the UK’s Scotland Yard and the U.S. Army’s Delta Force. Nomad’s backstory reveals that he was in Delta Force before becoming a Ghost. This is somewhat strong evidence, but lore-wise is a bit messy. If they were going to add Nomad, wouldn’t they just add him as a Ghost Recon member rather than his past in Delta Force? He could be introduced as a member of Rainbow in his days before Ghost Recon, but it’s a stretch. Ubisoft likes to play with backstories that see operators interacting with each other in their pasts, so we can’t rule it out completely. The other credence to this theory is the existing crossover for the two franchises established in Wildlands’ recent expansion. The new mission pack pulls a lot of Siege operators for fully voiced cutscenes and missions that go beyond any story elements seen in Siege itself. The DLC is more than a simple cameo or Easter egg. It must have involved some major collaborations between the two development teams over a long period of time, so it’s not unreasonable to assume the same is possible for a potential crossover on the Siege side. 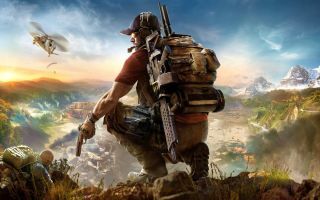 The connection with Nomad, Delta Force, and Siege is strengthened by a clear relationship with Wildlands as a shared Tom Clancy universe. But, if Nomad did join Siege, what would his unique gadget be? Some fans have pointed to a controllable aerial drone, as it’s a key tool for players in Wildlands. While this is certainly believable, existing evidence points toward something else. Back in May, leaks revealed references to a blow torch and “hole blocker” gadgets. If we assume these gadgets are for Season 3, then Nomad would have to use one of the two. If he does wield the blow torch, then he would fill an important role as Siege’s third hard breacher. So yes, the precedent is there for a crossover like this and Nomad does have solid ties to what we know about the next operators, but it’s admittedly thin. It’s fun to speculate about stuff like this, but it’s important to keep in mind that Siege has thus far had a completely unique roster of characters, and they might not be interested in changing that. All will be known as we approach the Paris Major, where we can expect Season 3 to be officially unveiled to the world on August 19.